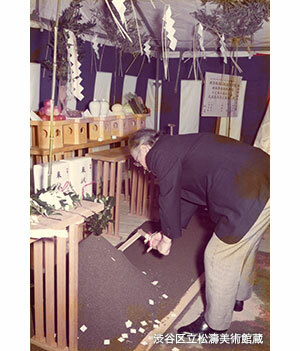 In the formulation of Shibuya’s “Long-Term Basic Plan” enacted in March 1973, an art museum construction project was suggested as a way to promote education and culture. The spot where the museum would be built was the site of a former civil engineering office in Shoto. Over the course of deliberations on a suitable kind of building project, the decision was made to construct an art museum rather than another cultural facility such as a library, public hall, or integrated gymnasium in consideration of the characteristics of the area, an upscale residential district. 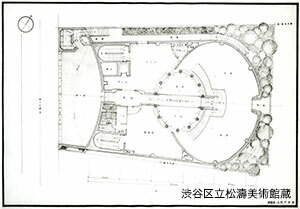 Heralded as the first for Tokyo’s twenty-three special wards, the art museum construction plan was allocated 13,035,000 yen for a geological survey, design commission fees, and other costs in the initial budget for the 1977 fiscal year. In addition, a preparatory council for the construction was launched with the cooperation of eight members involved in art, including Teiichi Hijikata, Director of the Museum of Modern Art, Kamakura. A master concept was established and later, the decision was made to formally commission a design from the Seiichi Shirai Architectural Institute. Both a baseline plan and a plan for execution were completed during the 1978 fiscal year and submitted to the Shibuya local government, along with architectural models. The building itself was beautiful enough to be considered a work of art; the Enasabi-ishi granite used for the exterior walls resembled white bricks, giving it the feel of a European chateau. At the center of the building was a vast atrium soaring from the second basement floor to the rooftop and set with window frames shaped like fish scales. The second basement floor contained a pool with a fountain, and each floor was designed to let in light from the atrium. Although members of the local government expressed admiration at the sight of the plans, it would be impossible to realize Shirai’s intended design with the initially budgeted construction costs. After repeated negotiations with Shirai’s team, the local government finally came to the conclusion that a budget several times the standard price could not be avoided. Shirai accepted the new budget, and construction began once the costs had been approved by the local assembly. The larger the scale of construction, the more inevitable design changes become during the course of the work, and the construction of the Shoto Museum of Art was no exception. Naturally, the changes were based on administrative suggestions for improvement deliberated by the art experts and others who comprised the preparatory council for construction, and were aimed at maximizing internal features of the exhibition space that had been limited by the original design as well as improving the flow of visitors through the facility and other operational problem areas. As a result, although minor adjustments to the internal layout were entailed, there were no changes to the museum’s fundamental form or functions. For example, the original design included a set of stairs that allowed the exhibition hall on the first basement level to be accessed directly from the central atrium after crossing a “bridge.” However, in order to expand the exhibition space, these stairs were abandoned in the design changes in favor of a “gallery” that would allow visitors to take the landing of the bridge all the way around from the lobby to the hallway. In the original design, the second-floor exhibition room “Salon Musée” was sandwiched between the Special Gallery on the left and a kitchen on the right, but in the design changes these were flipped in order to secure space for the plumbing. The biggest change to the design was to the type of stone used in the exterior walls. The original design called for the use of Enasabi-ishi granite from Gifu Prefecture. However, it was plain and had a dark rusty color, resulting in a somber effect. Shirai wanted to aim for a slightly brighter feel, and inspired by his strong desire to improve the completed museum in any way possible, the switch was made to a kind of intensely pink granite derived from a quarry on the outskirts of Seoul, Korea. Shirai honed in on this kind of granite due to his personal doctrine of immediately adopting any new material that was more beautiful and suitable for the building and had more favorable conditions than the current one, and he took pride in it as “a natural discovery.” Although it was unknown in Japan and did not even have a name, he dubbed it kounseki (“red cloud stone”) and had it imported. 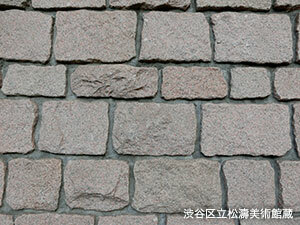 It was through this sequence of events that Kounseki granite came to be used for the exterior walls. The construction, begun in 1978, was completed in the summer of 1980. Next, in order to eliminate the effects of chemicals produced by glue and adhesive in the building materials and wallpaper, the museum underwent an aging period of about one year and three months to remove acids and alkaline substances in the air. 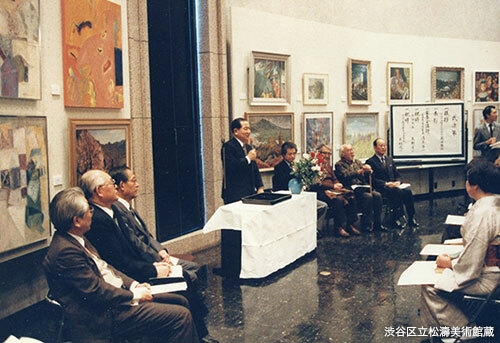 During this time, the Ordinance for the Shoto Museum of Art was established and executed, and the Foundation for the Promotion of Art in Shibuya was launched to delegate management of the museum’s operations. The museum finally opened on October 1, 1981. Shibuya’s “Long-Term Basic Plan” is formulated. In the area of cultural facilities, a need is found for art museums, music rooms, and meeting places (cultural centers). In the “Three-Year Implementation Plan for 1977-79” based on the “Long-Term Basic Plan,” the address “2-14-14 Shoto, Shibuya” is designated as the site for the construction of an art museum. Construction plans are presented to the local assembly, a geological survey is carried out, and a baseline design budget of 130,035,000 yen is approved. To prepare for construction in November, a council is launched to provide advice and guidance from a professional perspective (convening six times thereafter). 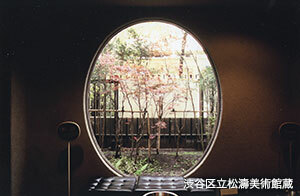 The Seiichi Shirai Architectural Institute is hired for the baseline design. An art museum construction budget of 806,635,000 yen is approved by the local assembly (including a partial limit on obligatory assurance of subsidization). The final draft of the baseline design is completed. The local assembly passes a measure for the museum construction contract. A contract is signed for the construction work (with Takenaka Corporation’s Tokyo Office for a contract sum of 787,000,000 yen). Construction of the museum begins. An Art Museum Preparatory Office is established. Briefing sessions on the museum are held for Shibuya artists (three times). Construction of the museum is completed. Kunio Fujita assumes the position of Director of the Art Museum Preparatory Office. An organizing committee meets for the establishment of a Foundation for the Promotion of Art in Shibuya to operate the museum. The Foundation for the Promotion of Art in Shibuya is established. 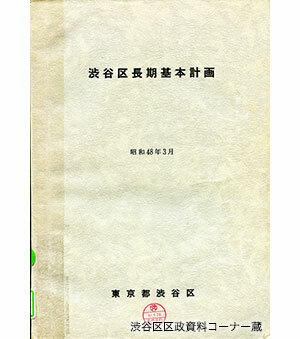 The “Ordinance for the Shoto Museum of Art” is executed. The Shoto Museum of Art is launched and Kunio Fujita assumes the position of Director. Operation of the museum is entrusted to the Foundation for the Promotion of Art in Shibuya. The opening of the museum is announced.